TagMatiks is a next generation platform for data collection. At the heart of the platform is TagMatiks Core, a middleware component that includes extensive reader management and enterprise grade integration capabilities. In conjunction, there is a business suite of applications to solve everyday business needs with vertical based workflows, reporting, analytical and dashboard capabilities. Would you like to learn how Tagmatiks can change your business? Pick and choose the appropriate modules that are right for your business. At the heart of the platform is TagMatiks Core, which provides a layer for RFID device management and integration. Surrounding Core are business applications for solving real world problems like asset tracking, field inventory, work in progress and more! By leveraging extensive data collection through RFID and other sensory technologies, the TagMatiks platform provides customizable analytical dashboards and reports. View key performance indicators and metrics that are relevant so your business can make more informed business decisions. Scale up to your businesses needs. Designed for the cloud, leverage enterprise grade yet low cost solutions. Take advantage easy to use and secure APIs to integrate your data back to your business systems. TagMatiks Core is the heart of TagMatiks. It’s a cloud based RFID middleware that collects and feeds RFID data to enterprise and TagMatiks applications. It also integrates via APIs, databases and flat files. TagMatiks FI is a cloud-based platform for managing field and consignment inventory that leverages various AIDC technologies for data collection and analysis. Cradle to grave visibility, from inception to consumption. TagMatiks AT is a cloud-based asset tracking platform with next generation analytics and reports. TagMatiks UT is a cloud based software to track the entire lifecycle of uniforms, garments, and linens. Supplementing the cloud portal are mobile applications. Leverage the robust API so you can integrate TagMatiks back to your ERP, WMS or other business application. Out of the box data collection and workflows from mobile applications available on iOS, Android and Windows.. Available in various hosting models including both single and multi tenant models to match your enterprises needs. Whether you are a healthcare provider or a pharmaceutical manufacturer you will receive many benefits from the TagMatiks Asset Management (AT) or Field Inventory (FI) that allow rapid development of systems for asset tracking, field inventory management, anti-counterfeiting, track and trace of prescription drugs, patient tracking, injection safety and infection control. With the TagMatiks Agriculture (AG) application you have all the information about your agricultural operations at your fingertips. Flexible and powerful, the TagMatiks AG enables product tracking from seeding to harvest, equipment tracking for asset utilization and repairs, transportation, inventory management and for field operations management and workforce management. The TagMatiks Work In Process (WIP) application enables a new way of manufacturing, the “Intelligent Manufacturing” by providing business intelligence in real time and at a granular level. Benefits are reduction of lead times and work in process (WIP) inventory, efficient Just in Time delivery (JIT), item level tracking, tracking defects and points of failure. What can TagMatiks do for you in Wearables production and post-production? 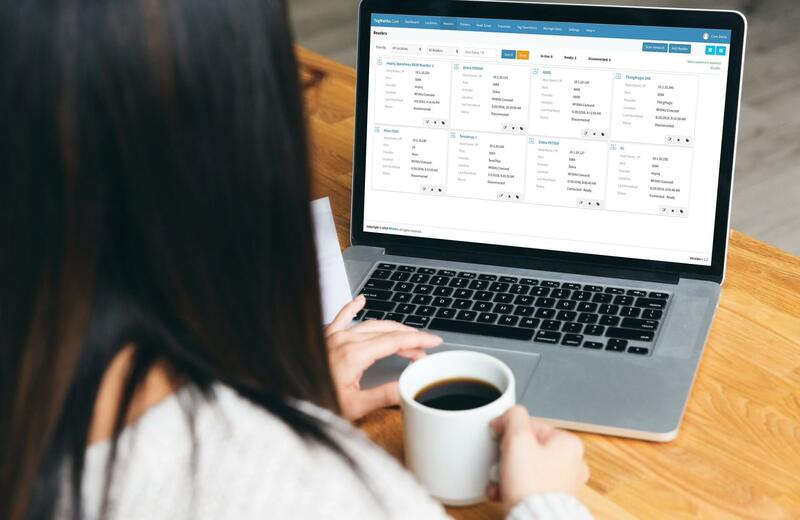 TagMatiks WIP is a robust but flexible intelligent platform allows for quick deployment of systems to manage your manufacturing from start to end, as well as the inventory control, shipping and warehouse management. TagMatiks Counterfeiting (CF) will control your anti-counterfeiting, warranty tracking and repairs. 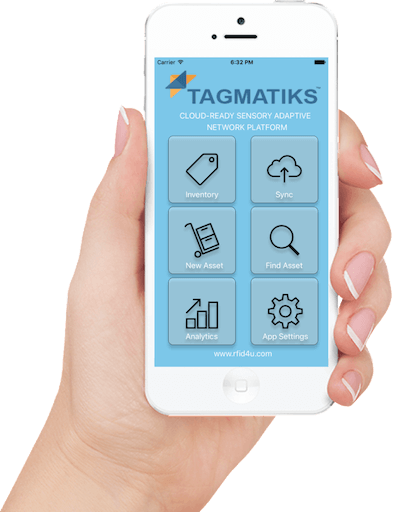 The TagMatiks Field Inventory (FI) and Asset Management (AT) provides real-time, cloud-based visibility of your supply chain, equipment and personnel, reducing cost, and increasing efficiency and safety in your operations. You can use it for asset tracking and inventory of machinery, tools and materials; as well as monitoring safe practices, emergency response and mustering. The TagMatiks Uniform Tracking (UT) provides real-time, cloud-based visibility of your entire uniform inventory and the lifecycle of each individual garment from purchasing through daily use, cleaning, and dispensing all the way to final disposal, internally as well as externally of your organization. Using TagMatiks UT you can track wear and tear, a number of laundry cycles and repairs as well as the assignment to personnel.